New puppy care should be fun for everyone, but if you're a first-time owner (or it's been a while since you had a little one in the house) those early weeks can easily become more of a challenge than a joy. Taking care of your puppy requires common sense, patience, love....and money. But even these aren't enough without some basic understanding of what your little guy (or gal) needs in order to develop properly and grow up healthy and happy. This page gives you that last piece of the puzzle! Looking for advice on caring for newborn or orphaned puppies? The seeds of success are sown before you even bring your puppy home. When you know what to expect and are prepared in the practical sense as well as emotionally, your puppy care experience will be much more fun for everyone! Puppies are adorable, there's no two ways about it! Those short little legs, heart-melting eyes and stubby little tails that won't stop wagging. Who can resist all of that, right? BUT, puppies aren't just cute and cuddly.... they're also demanding, sensitive, fragile, loud, destructive, expensive, exhausting and exasperating. Truly. Raising a puppy is like raising a child, all the same highs/lows, joys/tears... their development is just condensed into a much shorter time-frame. If this puppy-parenting adventure is going to be a success you can't fall at the first hurdle simply because you didn't expect it to be there! Regular cleaning of pee/poop and even vomit. Potty training is not a smooth learning curve. 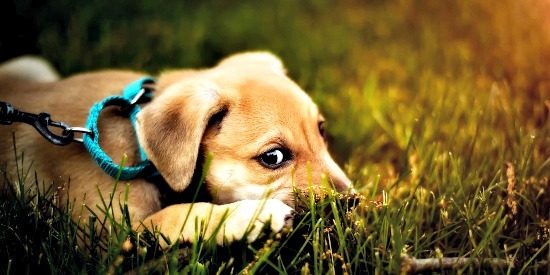 Puppies wake up 2 or 3 times each night to pee/poop until around 12 - 14 weeks of age. Damage to your home and property. Puppies don't just stay where you put them - unless they're in a crate or playpen, but even then they usually don't stay quietly. They have a lot of needs (food, accessories, vet care, toilet breaks, attention, love...) and it's you're job is to fill those needs. A significant amount of expenses. Those needs I just talked about. They all cost money, sometimes a lot of money. You need to know the true costs of dog ownership before you buy/adopt because if you can't afford the long-term expenses, there's heartbreak on the horizon. Puppy care is a lot of work, but the rewards for a job well done are amazing! Before your puppy care challenges really start, there's another hurdle to clear... and that's choosing your pup! If you have your heart set on a purebred pup, PLEASE do some 'homework' and research before you plunk down your deposit. Not all breeders are created equally, and there's no such thing as a 'bargain' when it comes to purchasing a living creature. As the proud owner of several adopted dogs, pet adoption is a subject close to my heart - and happily it's finally starting to be seen as a desirable way to find the perfect pet. Okay, so you know what you're getting into and are on board, plus you've picked out your puppy - or at least the route you're taking to puppy ownership. The next step in your puppy care journey is to make sure you have everything you need to keep your puppy safe, healthy and well cared for. You might also want to check out my New Puppy Checklist page. It takes a 'big picture' look at what new puppies need in terms of supplies, as well as overall care. Feeding, grooming, health care, potty training, obedience training and socialization are all parts of proper puppy care. Once you've brought your new puppy home the fun really begins - and so does the hard work. So far all your preparations have been leading up to that magical moment when you bring your precious bundle of fur through your front door. But many first time puppy owners are surprised, confused and even worried by their new baby's behavior at first. How big will my puppy get? and How much should my puppy weigh? Puppies are babies and the only thing they know how to be is a baby dog. That means their actions and behavior is sometimes very confusing for their human parents. Why does my pup/dog eat poop? Submissive urination - it's not a housebreaking issue! Your new puppy is now 100% dependent on you for everything... including his life (literally). In order to keep your little one safe and healthy you need to be both proactive with preventative care and know how to spot the signs of trouble. You can check out my Puppy Health 101 page to find links to everything you could ever want to know about. Or if you want to jump straight to one of the most common topics, these links will get you what you need. Keeping your puppy clean and his coat in good condition is important to his health. 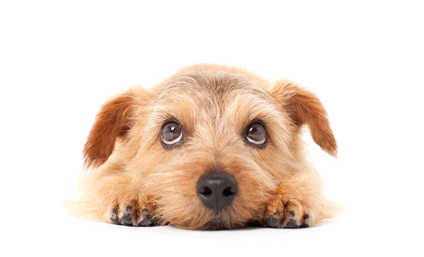 Whenever you bathe or groom your puppy it's the perfect opportunity to check for eye problems, ear problems and to examine his skin and coat for parasites, lumps, inflammation or irritation. Noticing, and treating, any issues early always makes them quicker and easier to resolve. 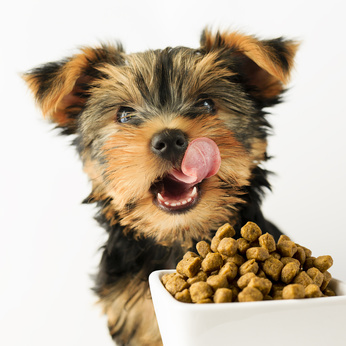 What you feed your pup during those early, fast-growing months, has a huge impact on his future growth and development.... even on how long he lives. It pays to take the time, and do the research necessary, to be absolutely certain that you're choosing a well-balanced, highly nutritious, and breed-appropriate food. Check out these pages to make sure your pup gets the nutrition he needs to grow up healthy and strong. Your new puppy is just a tiny baby, and right now he's operating pretty much on instinct... dog instinct that is! This is often going to be at odds with the way the human world operates, and what you expect from him. So some basic training is needed to help you and your pup live in harmony. The first, and most important, aspect of puppy training that you need to work on is housebreaking. After that comes manners and basic obedience plus socialization. Being a puppy-parent (and eventual adult-dog-owner) is one of the most fun and rewarding things you'll ever do and I hope that this page has helped you to start out on the right foot.... and paw! Here are 3 fantastic books on puppy care, they're my favorites and I own them all. I totally recommend adding at least one of them to your bookshelves at home.